Inspired by several "East meets West" jazz-rock artists that incorporate Indian culture, I chose to combine traditional Vedic mantras with modern instrumentation for my next project. The focus of this release is the Taittiriya Upanishad, one of the most important writings of ancient Indian thought. It presents a positive, world-affirming philosophy and is best known for its concept of the five selves (or five sheaths), that veil the light of the True Self. Having read an English translation years ago, I was already familiar with many of its theories and ethical principles and thought it would be a favorable complement to my other projects. The Taittiriya is one of the oldest Upanishads - the word derived from the roots upa (near), ni (down), and sad (to sit), i.e. "sitting down near" which relates to the method this knowledge was imparted with the pupil sitting opposite the teacher. As a Mukhya (Principle) Upanishad, it was commented upon by Adi Shankara, the most famous Advaita philosopher; is associated with the Taittiriya school of the Black (Krishna) Yajurveda, the Veda of yajana (worship); and it figures as number 7 in the Muktika canon of 108 Upanishads. It is divided into three sections, or vallis: Siksha, Brahmananda (aka Ananda), and Bhrigu. The Siksha Valli is the first of the six Vedangas (Limbs), or auxiliaries of the Vedas, concerned with phonetics and pronunciation, while the latter two sections deal with the knowledge of Atman (True Self). It should be noted that the Vedic chanting on this album has been recited with the same accents, measures, emphasis, sequences, and rhythms for millenia. I took great care to juxtapose as many non-Indian elements and styles as possible to the arrangements, hopefully without sacrificing any of the devotional mood or integrity of the sacred texts. 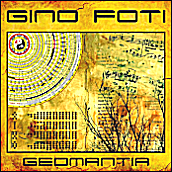 Unlike other releases of this type, which keep the mood meditative and the instrumentation sparse, I focused my attention to adding as much power, energy, and dense orchestration as I could, using compositional techniques that are not usually associated with mantric arrangements. "The Self in man and in the sun are one. A mostly instrumental arrangement, featuring several keyboard themes over complex synth beds, transitioning to a brief introductory chant backed by traditional instrumentation and a drifting synth bed. The first section consists of twelve lessons (anuvakas), including various meditations and rules on pronounciation, to be practiced by the seeker to make his mind pure and fit, in order to receive the teachings contained in the next two sections. These lessons are accompanied by traditional instrumentation as well as: guitar, percussion, synth vox and pads before transitioning to panned dulcimers and layered synth pads. This arrangement features lots of harmonic dissonance, tension and resolution. Panned keyboards and layered synth beds, drifting between dissonance and consonance, provide the foundation for these lessons. Dark and atmospheric synth drones blend with bar chimes before transitioning to various synth beds, pads, and ambient percussion to complete the lessons in this section. The middle section declares that only knowledge of the Absolute can destroy ignorance and remove the misery of transmigratory existence. He who knows Brahman attains Supreme Bliss, but the all-pervading Brahman, who is also man's innermost Self is obscured by the physical sheaths that constitute the gross, subtle, and causal bodies of man. Only by going beyond all five can a person experience Supreme Bliss. The more internal we go, the subtler the sheaths become, the greater the proximity to Reality, and the more intense your happiness becomes. Bliss is Brahman, and the aim of life is happiness - this is the central theme of this Upanishad. A solo guitar introduction leads to a power trio (guitar, bass guitar, and drum kit) aided by traditional instrumentation before transitioning to ambient guitar and synths, creating jazz rock-styled support and harmonic interest for these lessons. Guitar and layered synth drones & pads provide a tense and sometimes dissonant foundation to these lessons. A complement to the last part, this arrangement acts as the "release". Ambient guitar and synth transition to spacious panned keyboard themes, both backed by a synth vox progression, in the final lessons in this section. "I am food, I am food, I am food! I eat food, I eat food, I eat food! I am the uniter, I am the uniter, I am the uniter! I am the first-born of the world order, before the Gods, at the center of immortality. He who gives me away, he alone preserves me. He who eats food - I, as food, eat him. I, as the Supreme Lord, overpower the whole world. I am radiant as the sun. Whosoever knows this, attains Liberation. Such, indeed, is the Upanishad." Instrumental introduction, featuring keyboard themes over layered synths, transitions to the lessons, each backed by different synth beds and pads. Various synth vox, pads, and drones join traditional instrumentation playing inside the Bhairavi thaat (akin to the Phrygian mode) in the accompaniment of these lessons. Panned percussion instruments and synth drones transition to a jazz fusion-styled ensemble to complete the lessons of this Upanishad.